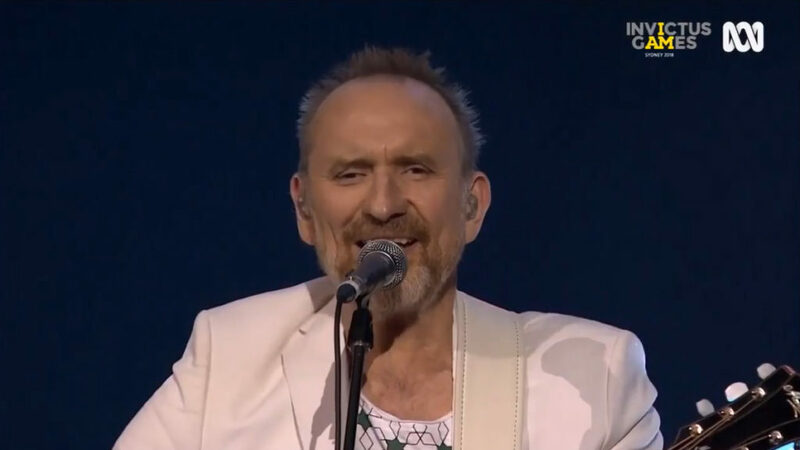 Colin Hay performed his classic Men at Work hit “Down Under” during the Closing Ceremony of the Invictus Games 2018, in Sydney, in Octobter 27th. The 2018 Invictus Games is a parasport event for wounded, injured or sick armed services personnel and their associated veterans, held in Sydney, New South Wales, Australia. The fourth Invictus Games, an event created in 2014 by Prince Harry, it includes eleven sports. It is the first Invictus Games to be held in the southern hemisphere.